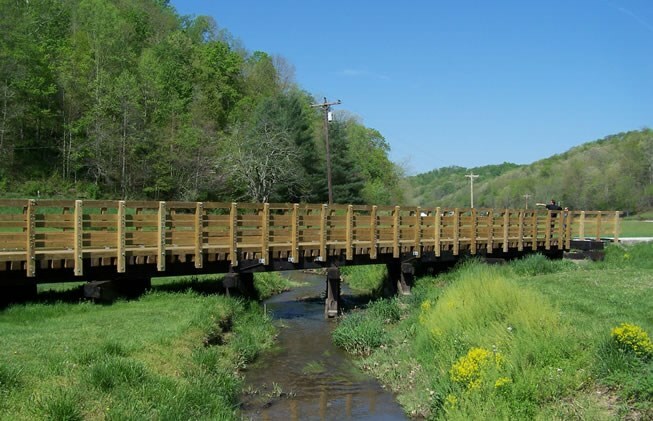 ROYALTON, Ky. – The Dawkins Line Trail has brought new life to the small town of Royalton in Magoffin County. The Royalton Trail Town, a Blueprint Partner of SOAR, recently announced a 15-acre development along the Dawkins Line Trail that will have primitive camping, cabins, restaurant, laundry mat, and shower facilities. Establishing Kentucky as a tourism destination and small business development are two of seven goals outlined in SOAR’s Regional Blueprint for a 21st Century Appalachia. Our Founding Partners at WYMT share more about this development HERE.